RakshaBandhan - celebrate the biggest day for Brother- Sister Relationship only @ Vishnuji ki Rasoi . Special arrangements for Rakhi and off course best of the festive food to enjoy . Get your Brother / Sister and enjoy your special day . Teachers Day Celebration - Teachers occupy a special place in every students Heart . As a Gratitude our all teachers Vishnuji ki Rasoi offers a special Discount of 33 % on its executive Thali from 3 Rd Sept - 5 Th Sept . Bring your I card and enjoy special discount at our Thane and Kalyan outlets . 9920920000. Vishnuji ki Rasoi is the best Pure Veg Restaurant in your very own neighborhood at Ghodbunder Road Thane to treat your Family & loved ones. 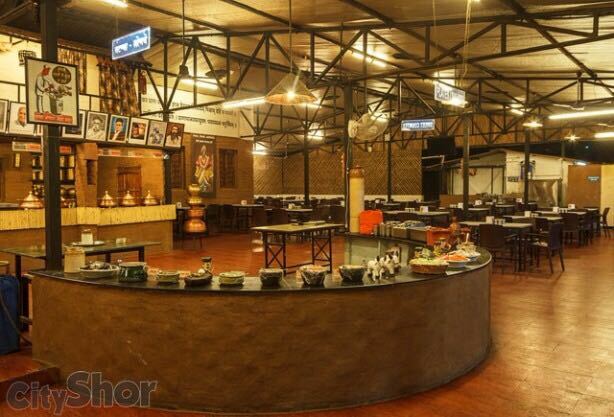 We specialized in Authentic Maharashtrian & Punjabi Cuisine served in Unlimited Buffet Thali. Also ideal for Corporate , Family & friends get-togethers. We also provide Lawns for Birthday Parties, Wedding Reception & Engagement Ceremony.